Give your customers the ease of installation with the Net2 Paxlock-C Keyway, that comes ready to install! This simple and secure Net2 door handle can be fitted in minutes, and in real-time, the PaxLock reports events back to the Net2 server. The AA batteries are easy to change, and the lock even features a full battery management system that gives off low-battery alerts. 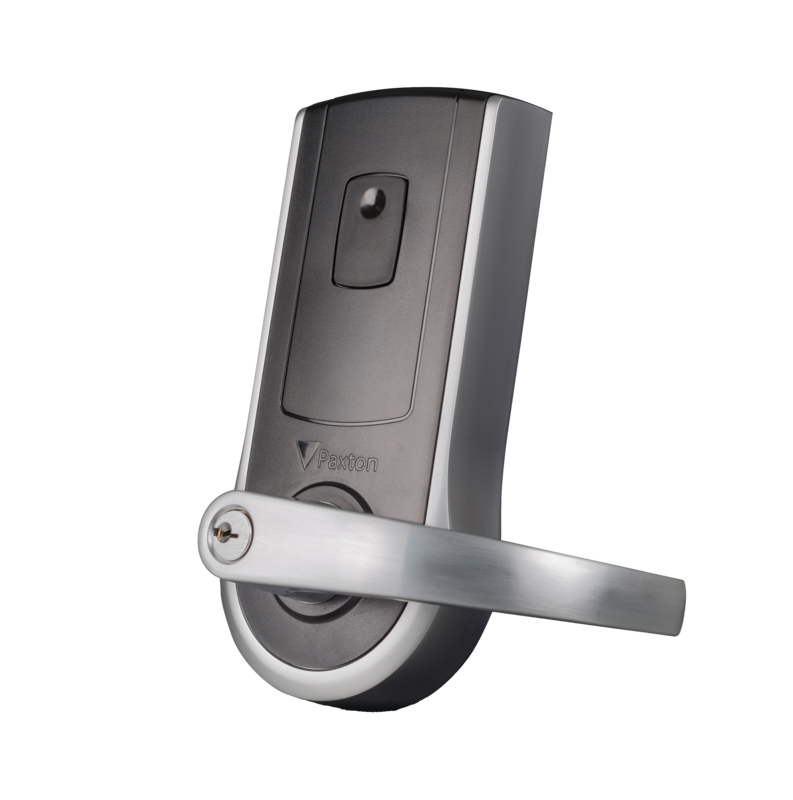 This Paxton door handle is compatible with EM and Paxton proximity tokens, and offers a key override option. The Net2 Paxlock and the Net2 server communicate wirelessly through the Net2Air and the Net2Air Ethernet bridges, providing all of the advantages in a wireless access control system. Visit the Paxton website or contact your SES sales representative to learn more! Also, Paxton now has a new app available! The Paxton Connect Admin app provides easy and flexible site management on a smartphone for Net2 System Engineers and Operators. It contains five features in one smart user interface and enables users to manage multiple sites remotely.